To keep our Food Pantry full we always need the following items: Pastas, canned meats (Chicken, Tuna); canned vegetables; Rice; Creamed soups; Spaghetti/Ravioli; Baked Beans/Refried beans; Spaghetti sauce and canned fruits. Also Peanut butter, cereals, oatmeal and personal hygiene items: toothpaste, shampoo, conditioners, soap. These items can be dropped off at the church during office hours. Through the generous donations from Trinity Lutheran Church, Utica, surplus catered food is distributed to those in need. You must sign in before the food is distributed and take what is provided in each package. Food arrives at the church around 3 pm on Fridays and is distributed shortly afterward. Every Sunday we offer the children of our congregation a time to learn about Jesus and the Bible in a friendly safe environment during the regular English and Spanish worship services. 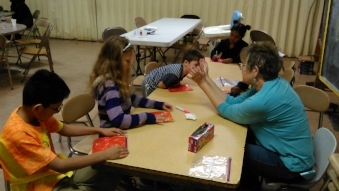 The children learn Bible lessons through crafts and stories. Want to share the Love of Jesus with children? Volunteers are welcome to assist with Sunday School lessons. Would your group and/or your church like to sponsor a Wednesday night dinner? You can. Just contact us at the office or sign-up with our online system. >>> http://signup.com/go/hXdjHCH <<<<<< just click here and it will take you to our SIGN-UP page. We serve dinner every Wednesday night at 6:30 pm and would welcome new opportunities to meet new people. 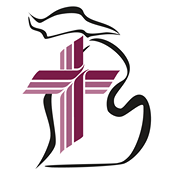 We want you to receive our monthly newsletter for updates on how GOD is at work through St. Paul, Pontiac. Be sure to sign up for our newsletter below. Shepherd's Gate Lutheran Church - Shelby Twp.